Numerous lineup changes, a seven-year hiatus, and severe health issues would all be legitimate reasons for Charly Steinhauer to call it a career and ride off into the sunset. However, the driving force behind the German metal meisters Paradox is back and better than ever with Pangea, the band’s seventh studio album since their 1986 debut. Following in the footsteps of 2012’s Tales of the Weird, Pangea is not so much a concept album as it is an album of songs with a central theme. In the words of Steinhauer, “[Pangea should] symbolize ‘the beginning of the end’ in different ways on how the planet’s end could happen.” The 10 tracks on the album deal with a variety of topics, but all come back to the idea that mankind is on a path of self-destruction and continues to engage in activities promoting that destruction rather than preserve humanity. 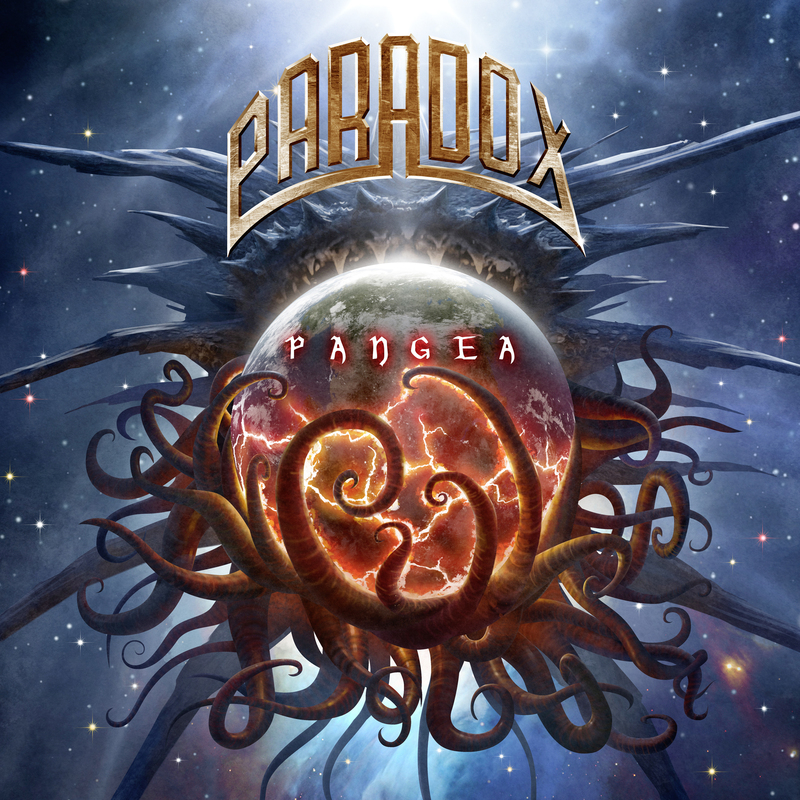 Paradox deliver an album chock-full of powerhouse riffs that have given the band its trademark sound while adding in melodic elements as a contrast. Steinhauer has had a rough going over the past two years, and has found a cathartic release in this effort. “Ballot or Bullet,” my favorite track on the album, displays Milonas in top form behind the kit and is worthy of repeat listens, if nothing more than to hear the intricate fills and rhythm patterns. The twin-guitar attack of Steinhauer and Drax make this one of the best thrash tracks of 2016. Steinhauer recruited Tilen Hudrap (bass), Gus Drax (guitar), and Kostas Milonas (drums) for the recording of Pangea. Although it is the first recording for this lineup, the result is a top-notch representation of strong songwriting and skilled musicianship. Steinhauer once again serves as producer, and has improved immensely on the bass/drum mix. An equal mix of bass/drum complements the guitars while not burying the vocal track. Tales of the Weird suffered at times from too much low end; however, there is a rich, full mix on Pangea. When it comes time to tabulate the year-end “best of” polls, I will be considering Pangea among the choices. 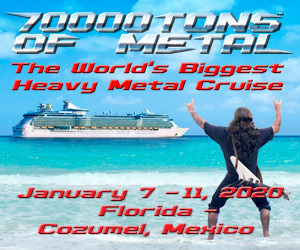 This is as close to a perfect melodic thrash album as I’ve heard in some time, and it deserves a spot in every metal library. Pangea is out June 24 on AFM Records. Pre-order it here!